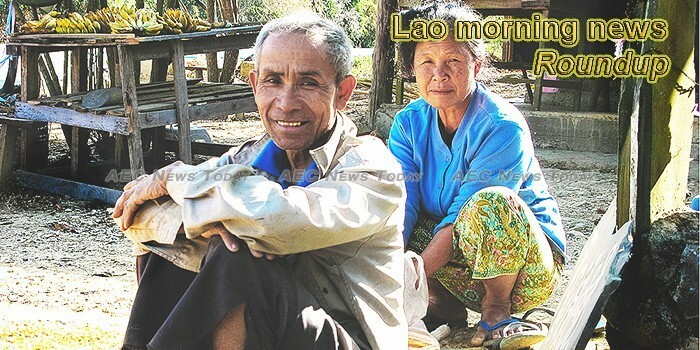 With hordes of Chinese tourists overrunning one Southeast Asian country after the other as a result of a new travel freedom and rising spending power, Laos is the next destination on the map for them. Nong Khai province in northeastern Thailand and the Lao capital of Vientiane have reached an agreement to turn a riverside border area into an arms-free zone. The Lao government and the International Finance Corporation (IFC), a member of the World Bank Group, are conducting a basin-wide Cumulative Impact Assessment (CIA) of renewable energy development in southern Laos’ Xekong River Basin. Thailand is being advised to closely monitor the water discharge rate at two dams in neighbouring Laos to obtain information important for Thailand’s handling of the flood situation, particularly in the Northeast. It took six years for the Watlao Buddhovath of Rhode Island to complete the new water shrine dedicated Saturday in a ceremony filled with dance and music, but even longer to heal many of the scars from the Vietnam War that drove thousands of Laotians to the United States. The Committee for Search and Rescue Operations under the supervision of the Lao People’s Army on Friday told reporters it would suspend its search and rescue operations and focus instead on relief and recovery. The Russian Emergencies Ministry declared that it has sent around 36 tons of humanitarian help to Laos, which went through a new flood triggered by the collapse of a dam. The Ministry of Health has been distributing cholera vaccine to the thousands of people living in crowded shelters here, in a bid to prevent the onset of this potentially fatal disease. China and Laos are committed to deepening strategic cooperation. Teachers in Sanamxay district, Attapeu province, will receive an allowance of one million kip each and schoolchildren will be given new uniforms and educational supplies at the start of the new school year which officially begins on September 3.